Sample of hand written pages in "Pipeography of Men"
The “Pipeography of Men” was written by Bernard M. “Bun” McPharlin of Hastings, Michigan from 1966-1976. This hand written document catalogs his large collection of pipes. 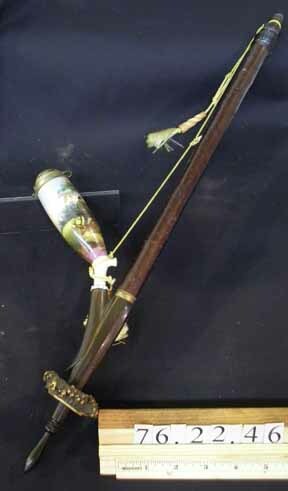 He put a number or letter on each pipe in his care and, rather than describing the pipe itself, described the original owner of the piece. It is a unique book that gives us a glimpse of Barry County, Michigan life from around 1920 – 1970. Bernard “Bun” McPharlin lived and worked in Hastings for most of his life. He was born in Cadillac, Michigan in 1907, the son of George and Marie McPharlin and they moved to Hastings when Bun was still young. He had one child with his first wife Nellie; they divorced in 1927. Bun was a veteran of WWII and served as a rifleman and was discharged in 1943. He married his second wife Gracie in 1950, and she gave him many pipes for his collection. From old city directories, we know he worked for Consumers Power Co. and sold pipes at Baird’s Clothing Store and Water’s Clothing Shop, which was located at 138 E. State St. in downtown Hastings. He opened his own clothing business, Bun McPharlin’s Clothing Store, with a number of associates in approximately 1957. Bun ran the store until he retired in 1972. He retired to Sarasota, Florida where he passed away in 1990. He is buried in Hastings Riverside Cemetery. Charlton Park is lucky to have this well cared for and documented collection of 82 pipes. 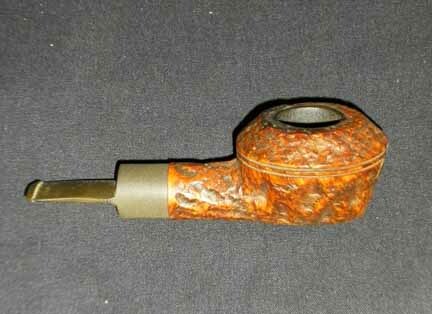 Below are images and Bun’s personal descriptions of a few of the pipes in his collection. McPharlin, Bernard M. Pipeography of Men. c. 1976. Barry County Historical Society. Barry County Veterans of the World War II Era. J-Ad Graphic, Hastings, MI. 2002. “A Man and His Collection: Bernard McPharlin and His Pipes” – 1995 Charlton Park Exhibition, prepared by Sue Pufpaff. 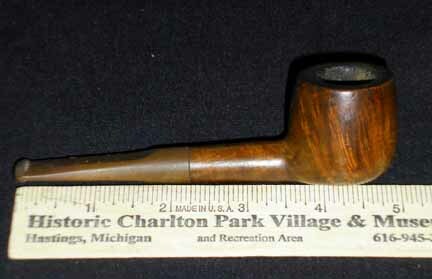 This pipe belonged to Charles Smith "Scottie". Born in Alexandria, Scotland. His trade in the Mother Country was a fabric - blockprinter. He came to the United States and later to Hastings, Michigan in 1923. He worked for the Hastings Manufacturing Company in piston ring production until his retirement. He is the father of Agnes - Industrial Nurse at Hastings Mfg. Co. His religion - Presbyterian. 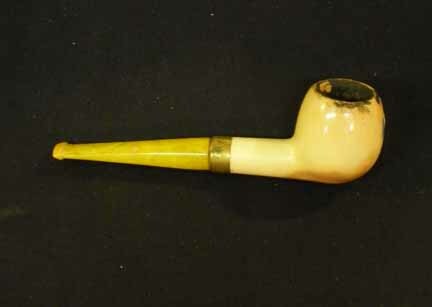 Pipe given to me 11/20/(19)58. Given to me by Angelo Spiris. Angelo Spiris was a native of Greece. He obtained the pipe for me while visiting the home land. He was a veteran of WWI, a member of the American Legion, and also a commander of the local post. He operated a tavern on Jefferson St. from the late thirties to the early fifties and later a restaurant on West State St. in the Hendershott Bldg. 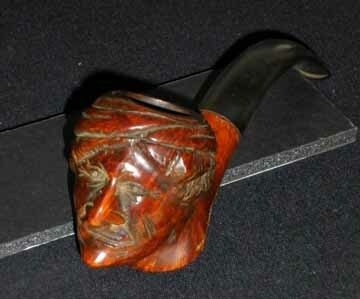 Pipe owned and smoked by Dr. Chas. (Charles) McIntyre. He left it in the store one day while using the telephone. I informed him that I wanted it for my collection. Very humorous and interesting man. A school teacher. Operated a drug store in the Village Woodland and later an M.D. One of the best. No one to compare with. Both of his sons were medics: Dr. Kenneth McIntyre and Dr. Charles McIntyre. Dr. McIntyre was one fo the co-founders of the Hastings Savings & Loan, and a booster of the Pennock Hospital and the first enlargement. So interesting! Thanks for sharing this one. I really liked this one! 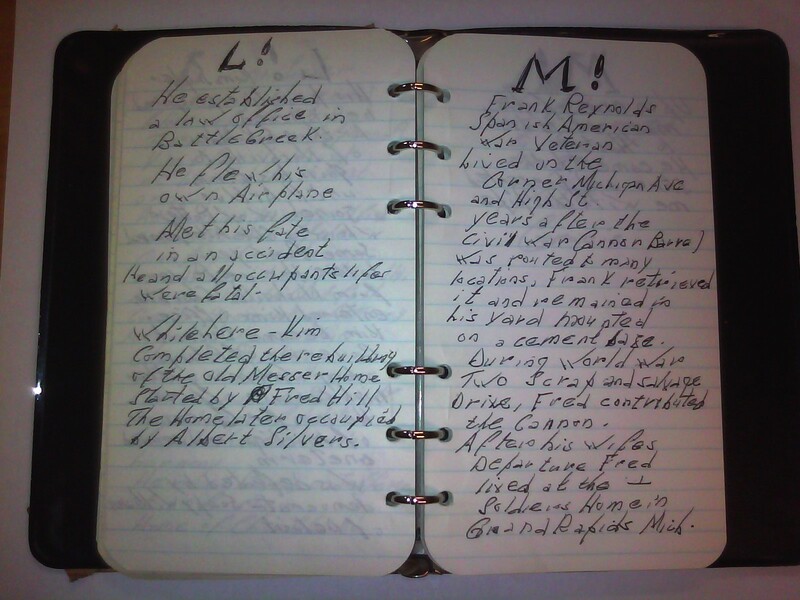 What a great addition to any collection… a detailed log of each item, any historian’s dream! I like the pipes you chose to feature, very different from each other, I didn’t know they could be so ornate! This was really fun for me to see. Bun was my uncle! I didn’t know that he collected pipes but I remember that he had everything well organized in his house. My dad was particularly impressed with his workshop. Thanks for posting this collection.